Spring is here and it’s time to get your living space clean and organized. Use this as a great opportunity to check in on your capabilities to keep up with the house work. Is it time to ask for help? Most of all, get your family members and friends involved! 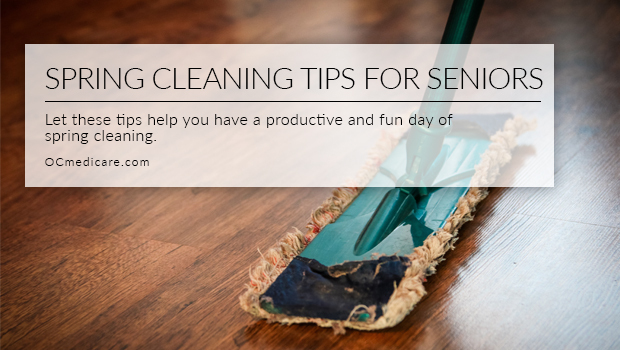 Let these tips help you have a productive and fun day of spring cleaning. You want to make the most of your time and of those helping you. Make a list of chores to tackle and put them in order of priority. Think about all the different rooms in your house and what needs to be done. And clutter and excess junk should be thrown/given away. Also, perishables and expired food cleaned out of your fridge and pantry. Having expired medication around your house can be dangerous. Especially if you have trouble remembering the good bottles from the bad. Therefore, go through all your medication bottles. Any that are expired need to be thrown away. Get rid of clutter and hazards. Start with the easy clutter that can prove a hazard to your safety. Excess rugs in your hallways that could prove a tripping hazard should go. Broken lights or burnt out bulbs do not provide you with the proper light to navigate in the dark. Therefore, replace bulbs in all rooms. Increase the ease of living in your space by organizing. Maybe discuss with your family and friends easy ways to keep yourself organized. Maybe get help setting up automatic pay on your bills. Or reminders to keep your schedule on track. In addition, clearly label and color code items around your house to help you remember where to return items after being used. Use this seasons spring cleaning as a great way to set you up for a positive future. Are you living in a clean and safe environment? Is there clutter that could be hazardous to your mobility? Maybe you simply have too much stuff! Whatever your trouble area, use this fresh new season to get on track!